Suffering from the flu has not been fun. 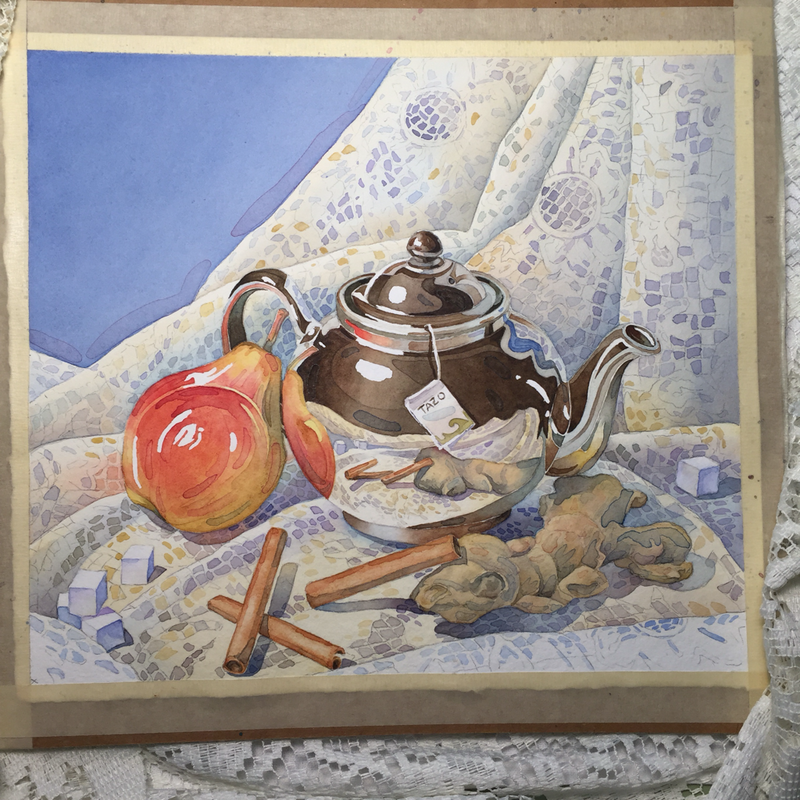 I made it through with Mother’s Brown Betty Teapot, my favorite ginger & pear tea combined with patience coughing & sneezing between drawing and paint strokes. I do look forward to Daddy’s old truck traveling the back roads to Plein Air paint. It’s been a long time. Those who are fans of British Television will know what a Brown Betty is! From Dounton Abbey to Mrs. Bucket pouring tea, these teapots are a staple in English kitchens. They make the best hot tea. I am so grateful to have Mum’s collection in my little kitchen.